Zephyr applications use the 96b_nitrogen board configuration to run on the 96Boards Nitrogen hardware. 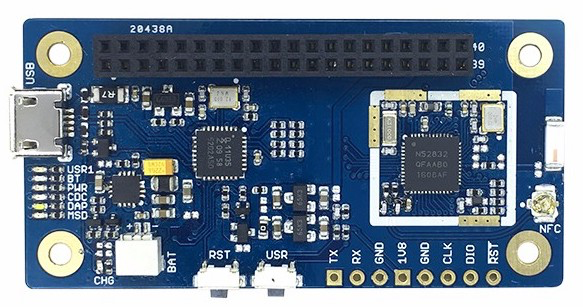 It provides support for the Nordic Semiconductor nRF52832 ARM Cortex-M4F CPU. Here is an example for the Hello World application. This requires installing the pyOCD tools.